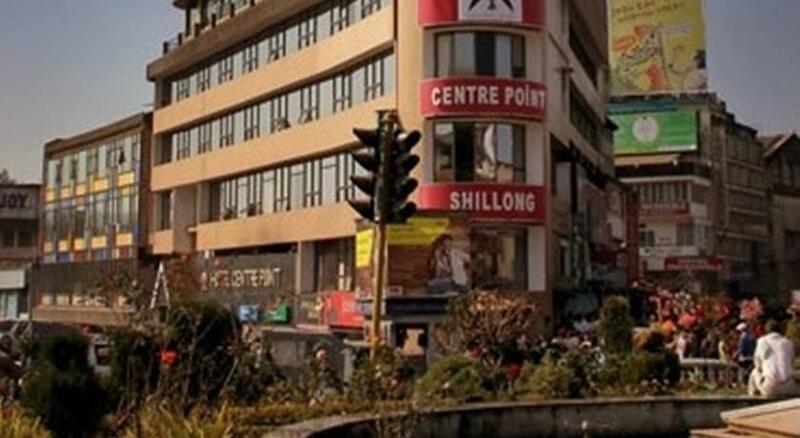 Shillong is one of the most sought after hill stations in the north east India and so is Hotel Centre Point in the city. Very strategically located in heart of the city next to the taxi stand, bus terminus, emporia, travel agents and shopping centers, it is one of the best stay options for both leisure and business travelers. 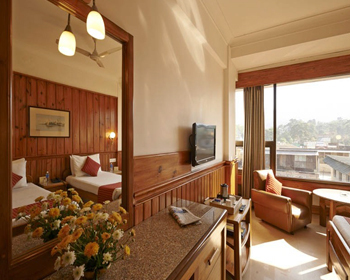 In order to provide the guests an amalgamation of the old Shillong charm along with the modern look, the hotel’s building is divided into Classic and Club wings. 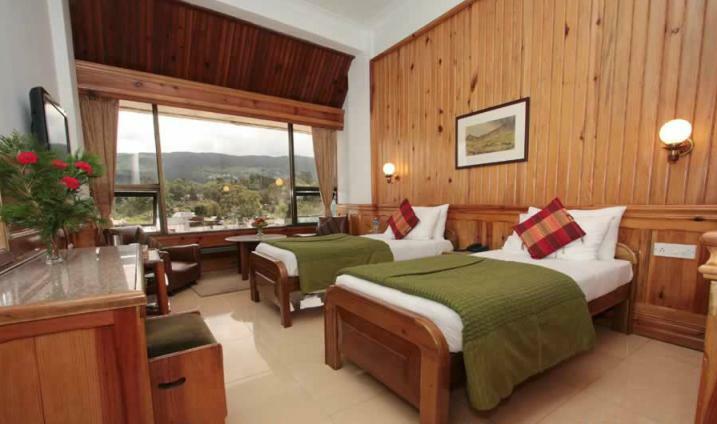 The hotel provides accommodation through its thirty two well-appointed and well-decorated rooms. 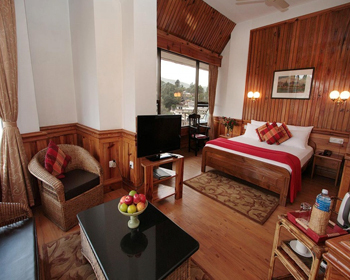 Each of the rooms offers a panoramic view of the Shillong Peak range combined with the best of the amenities and facilities that will satisfy even the most discerned guests. The guests are provided with laundry services, doctor on call, car parking, travel desk and designated internet area. For enjoying gastronomical delights, the guests can dine in at Sky Asia- the Pan Asian Resto Lounge, La Galerie- the multi-cuisine restaurant or enjoy a mug of beer at Cloud 9- the Resto Lounge Bar. The Centre Point Arcade serves as a hub of shopping delights and artifacts from the state. The Regular Rooms at Hotel Centre Point are not just regular in any sense. 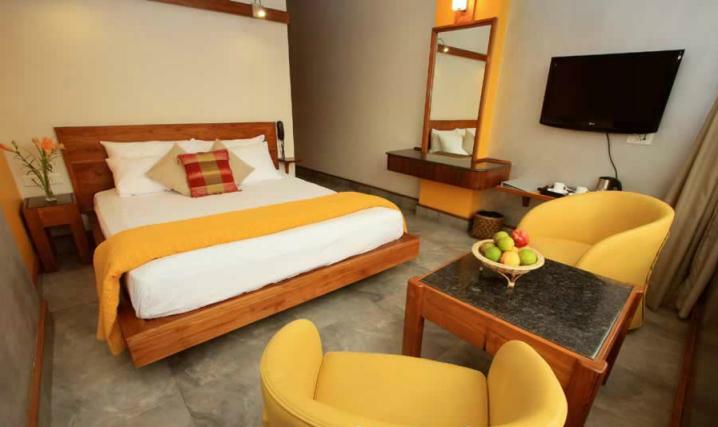 Although they have been named as regular rooms, they provide the traditional north eastern charm and the world class amenities to the guests so that they can enjoy their stay to the maximum. 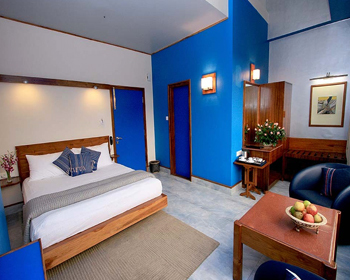 Designed on a traditional theme, these rooms are well-appointed and well decorated to catch the fancy of one and all. A comfortable double bed occupies most of the space of the room and just next to it is a closet where you can hang your clothes. A color television displays all major satellite channels and the attached bathroom supplies hot and cold water all round the clock. There is availability of round the clock room service, in room dining, daily housekeeping and branded toiletries when you decide to stay here. 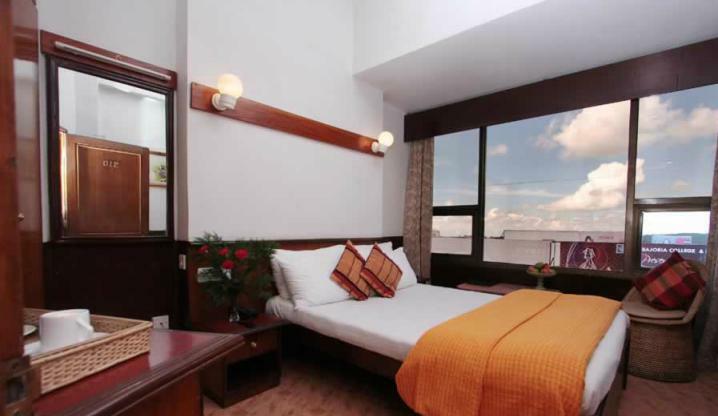 The Deluxe Rooms at Hotel Centre Point are furnished on the traditional theme. These air-conditioned rooms have in room temperature control and offer world class amenities to make your stay as comfortable as possible. They have twin beds which have an LCD TV just opposite to them. All cable channels are displayed. A sofa set with center table, a closet and a study desk with chair are a few of the furniture items available in these rooms. 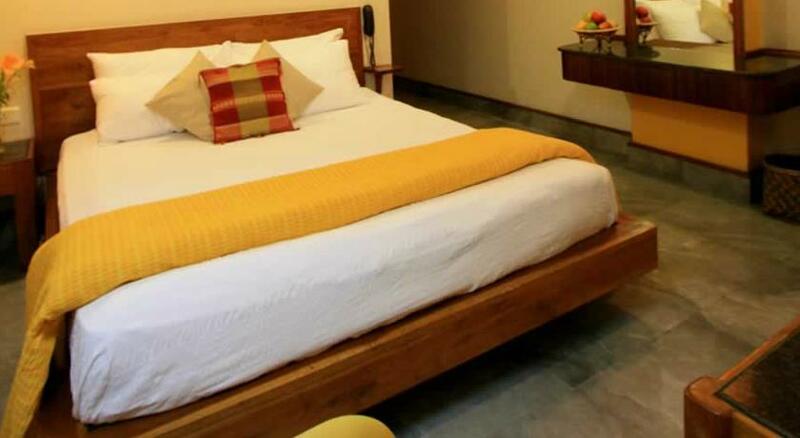 Some of the amenities available in these rooms include Tea/Coffee maker with complimentary sachets, telephone line with direct dial STD and ISD facility, daily housekeeping, running hot and cold water in the attached bathroom, branded toiletries, in room dining and round the clock room service. The Executive Classic Rooms at Hotel Centre Point are a mecca for the business or corporate travelers. 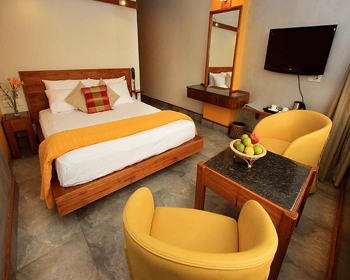 These rooms offer various such amenities and facilities that will ensure that the business traveler has a comfortable stay in Shillong. Well-appointed, fitted with air-conditioner, these rooms have been designed with traditional theme in mind. Over and above the same, the staff of the hotel renders traditional hospitality and warm welcome to every guest. Some of the amenities that are available in these rooms are a double/ twin bed, comfortable mattresses, study desk and chair, closet for hanging clothes, safe deposit locker for keeping valuables, Tea/ Coffee maker with complimentary sachets, Mini Bar, blower during the winter months, daily housekeeping, laundry service, round the clock room service, in room dining and more. 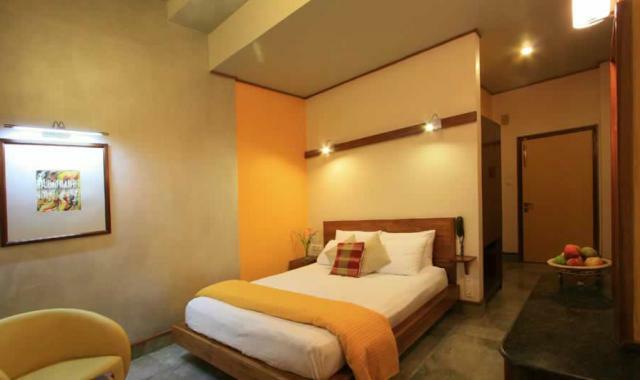 Each of these rooms comes with an attached bathroom that offers 24 hour hot and cold water supply, premium toiletries, separate shower area etc. 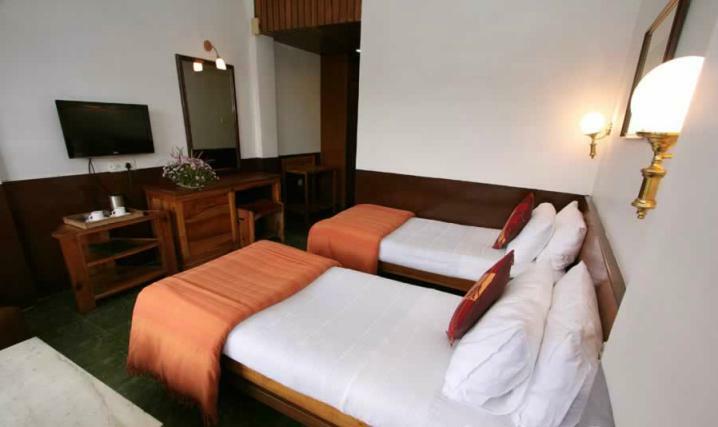 The Executive Special Rooms at Hotel Centre Point are lavish accommodations for the corporate and business people who visit Shillong. These rooms provide world class living options in the north eastern state. They are designed on the traditional theme keeping in view the specific requirements of the business traveler. 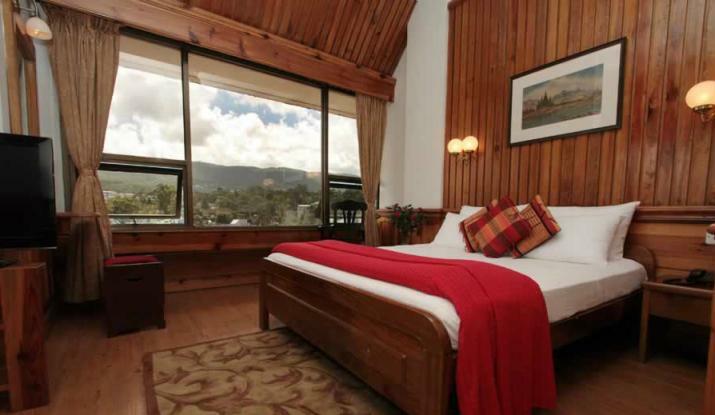 Endowed with all possible luxuries, they seem to be one of the best accommodations in Shillong. 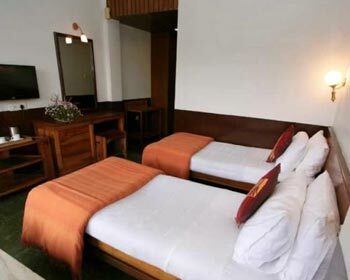 A double/ twin beds facing a large LCD TV with satellite channels, direct dial telephone line with STD and ISD, Tea/Coffee maker, study desk with chair, sofa set with center table, closet to hang clothes, safe deposit locker, Mini Bar, air-conditioner during summers and blower during winters, daily housekeeping, round the clock room service, in room dining are some of the amenities that a guest can look forward to. Also available is round the clock supply of hot and cold water in the attached bathroom, premium toiletries and bath linen, four fixture fittings and separate shower area. The Club Deluxe Rooms at Hotel Centre Point have been designed based on the contemporary theme. Well-designed, well-furnished and well-appointed, the Club Deluxe Rooms are one of the most selected accommodation options at Hotel Centre Point. 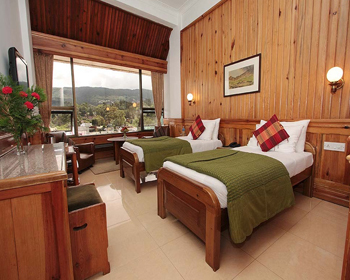 These rooms offer world class amenities to ensure that the guests have a comfortable stay as long as they are in Shillong. Some of the amenities that you will be provided here are a double bed/ twin beds, closet, safe deposit locker, Mini Bar, air-conditioner during summers and warm air blower during winters, Tea/Coffee maker with complimentary sachets, daily housekeeping, round the clock room service, LCD TV that displays satellite channels, direct dial telephone facility with STD and ISD, attached bathroom with four fixture fittings, premium toiletries, premium bath linen and more. All efforts are made by the hotel staff to ensure that you have a comfortable and memorable stay. 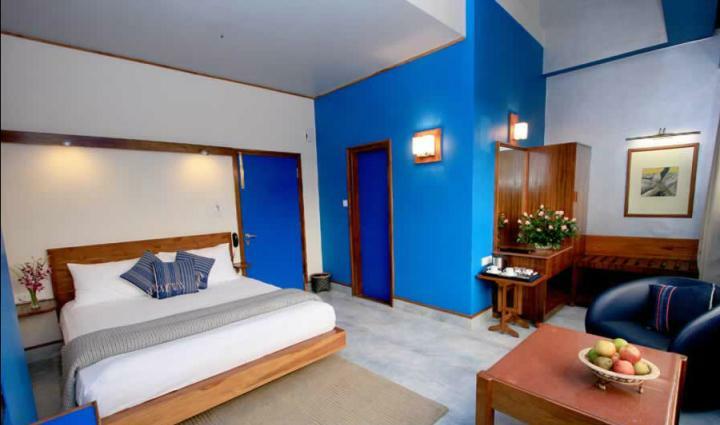 The Club Executive Rooms at Hotel Centre Point have been designed in contemporary theme and attract the attention of the travelers who are visiting Shillong for some business reasons. They are well-appointed rooms that provide best of the state of the art amenities that grab the attention of the guests in no time. These rooms provide facilities and amenities that range from a double/ twin bed, a dresser, closet, safe deposit vault, air-conditioner within room temperature control, hot air blower for winters, LCD TV with satellite channels, telephone facility with direct dial STD and ISD option, study desk and chair, in room dining, round the clock room service, daily housekeeping, daily newspaper, Tea/Coffee maker, Mini Bar, refrigerator, 24 hour supply of hot and cold water, premium toiletries, four fixture fittings and a separate shower area. La Gallerie, the in house multi-cuisine restaurant at Hotel Centre Point is as popular amongst the locals as it is with the guests who opt to stay here. On the menu are the Indian, Chinese and Continental cuisines offering both vegetarian and non-vegetarian delicacies. The guests can select the dishes that they wish to eat as the choice is a-la-carte. 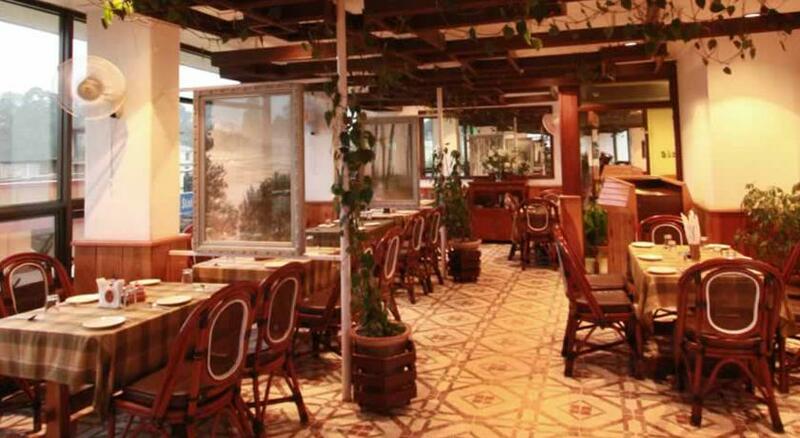 The ambiance of the restaurant is bright and sunny, with a lot of sunlight pouring in. There is ample usage of mirrors and glass all over. The chefs of the restaurant make use of the best of ingredients and prepare the food using authentic techniques. The hospitality is traditionally Indian. Thus, you are sure to have a wonderful dining experience. Sky Asia, a resto lounge at Cloud 9 in Hotel Centre Point can be best described as the perfect venue to enjoy Pan Asian cuisines. The guests who wish to taste the various cuisines of the different countries in Asia can fulfill their desires here. There is an interesting blend of the different Asian cuisines that satisfy your taste buds to the maximum. Well-appointed with tasteful furniture and furnishings, it is a good place to enjoy meals with your family and friends. The hospitality provided by the staff is incomparable as they are always on their toes to serve you, providing the best dining experience in Shillong. Cloud 9 at Hotel Centre Point, a rooftop night club truly lives up to its name. It is one of the best night clubs in the region and is almost solely responsible for bringing the culture into the north eastern states. The club has Ladies Nights every Friday and brings forth newest trends to enjoy and make merry. Special events are celebrated and guest DJs are invited from different parts of the country as well. Both alcoholic and non-alcoholic beverages are served along with various finger foods and light snacks to the guests. The guests can make selection from a wide variety of wines, whiskeys, single malts, beer, cocktails, mocktails from the domestic as well as international brands.